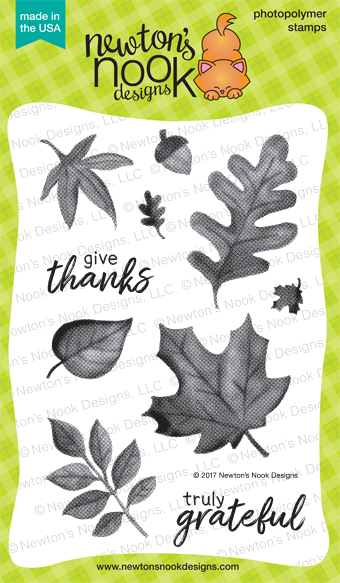 It's Day 1 of the Septemeber Release Sneak from Newton's Nook Designs!! You are going to love this months release. 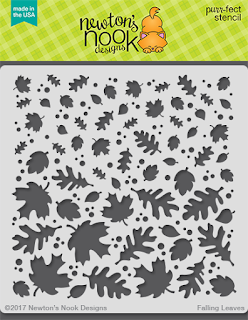 it's full of everything you could need for Fall and Halloween Projects and a few that can be used all year long! 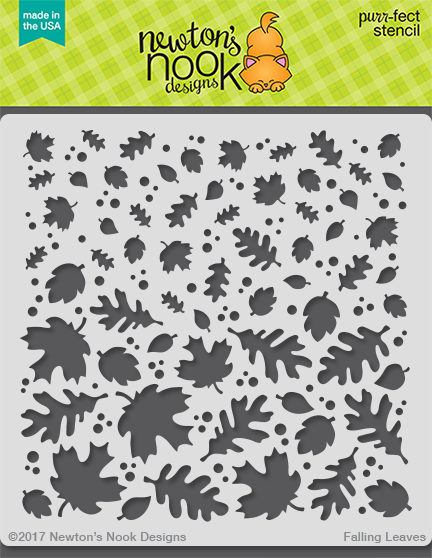 Today we are introducing Shades of Autumn and it's Coordinating dies and a new Falling Leaves Stencil. Out of the entire release, this set is my Favorite!! The stamps are solid and have a texture to them so they are great for using with your Distress inks or showcasing different techniques. I will have a video next week sharing different ways to use this set so stay tuned. I started with a piece of Bristol cut to 4 1/4 by 5 1/2. The I added the leaves with some Distress Oxide Inks. Once the ink was dry I added some water splatters and removed the excess with a paper towel. Then I added some Vintage Photo ink around the edges and adhered it to a card base. I stamped the sentiment in the upper corner using some Brown ink. I stamped the leaves onto some Bristol using different shades of Distress Oxide inks and the Rock n' Roll technique. Then I spritzed each of the stamps with water and stamped down onto the paper. I used the coordinating dies to cut them out and adhered them to the card panel over some Gold thread creating a nest. Good Luck and thanks for stopping by today!! Your card is gorgeous. Love how you used the Oxide inks to create such a beautiful background and leaves. I love your card. It has a wonderful vintage feel to it. Love the shades of Fall colors you used. The gold string really added an awesome "nest" for those leaves! I really enjoyed what you have created. I like the rustic feel of this card. I love your soft background with the white "splatters". Great card! 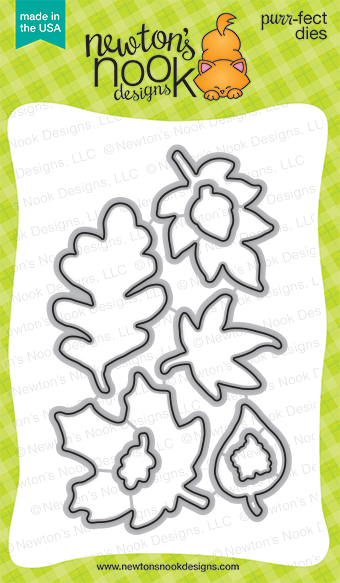 I like the way you partially stenciled the background and the coloring of the leaves. The leaves are nice the way the veins aren't too prominent and the texture of the leaves. Simple but very classy. Thank you for the inspiration. Really pretty! I love how you used the distress inks with the stencil. Beautiful autumn leaves! Love those gorgeous colors! WOW Holly, what a great card, I love how you achieved this effect. TFS how you made this! I love the colours and texture of this card, fabulous! The texture and colors in your card are gorgeous! Thanks for sharing! Wow! Amazing Fall card!!! Love it!!! Pretty card, love the fall colors. VERY pretty card....I love all your stamping and backgrounds on this one! I like the background for these beautiful fall leaves. Lovely card, love the stenciled background, just beautiful! I love how you used the space on your card. I need to go look up 'Rock n' Roll' technique now. I love how you utilized your space! Now I need to go learn what a Rock n' Roll technique is. This card is beautiful! 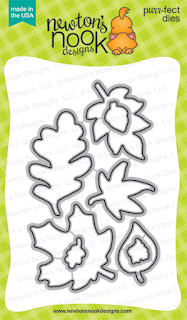 I love the stamped leaves on top of the stenciled leaves! The Distress Oxides look great! Stunning leaves and colors!!! Great work!! !